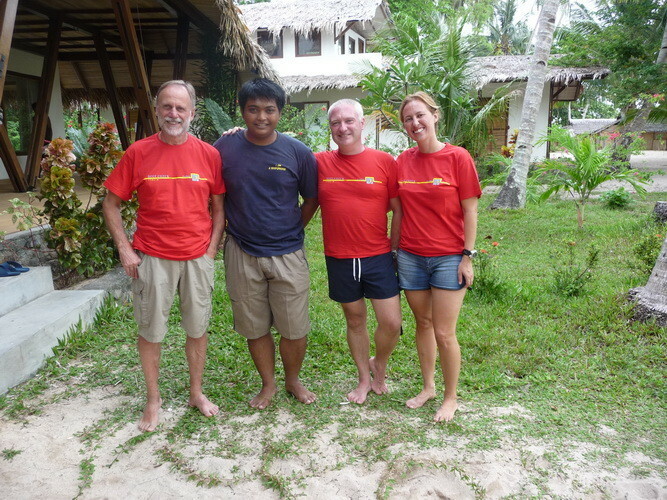 Bangka (Indonesia) 2013 - Welcome on Reef Check Mediterranean Sea! The Reef Check protocol was designed following the awareness that there were no adequate data to establish a “baseline” of the health of coral reefs of the planet. 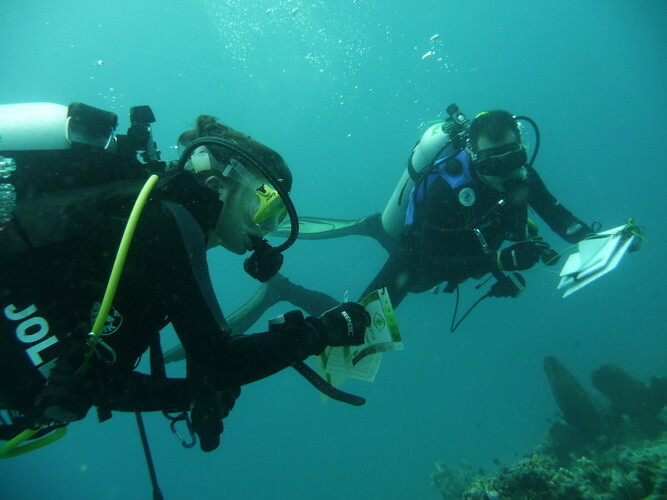 The advantage of the protocol consisted, above all, in the possibility of involving volunteer scuba divers, led by marine biologists, who could give a vital contribution to the collection of data otherwise not obtainable. 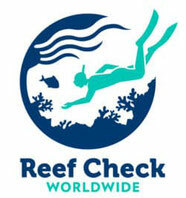 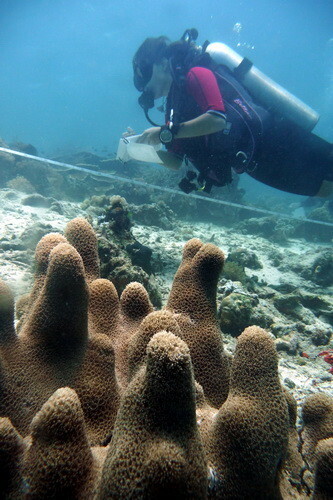 The first global survey of coral reefs took place in 1997. 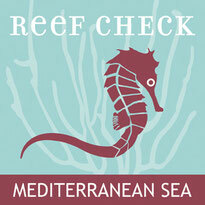 Subsequently the protocol has received important acknowledgments both in terms of number of data collected and in data quality; many researchers have confirmed their value and published works citing the database of Reef Check. 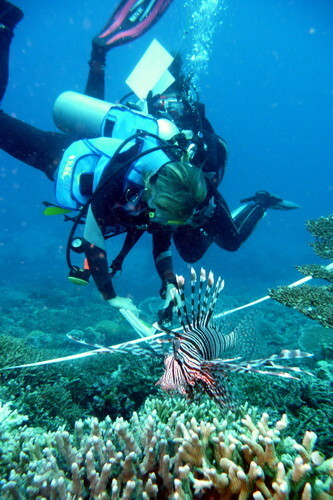 The protocol has proved to be very effective not only in the involvement of passionate volunteers, eager to cooperate to the preservation of their favorite reefs. 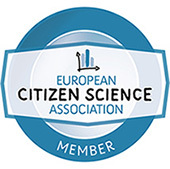 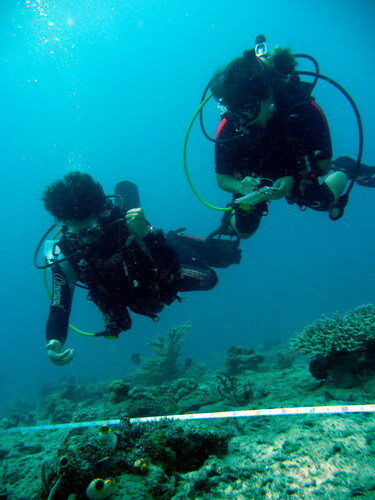 Also young students and graduates in marine biology have been able to take advantage of a suitable method to perfect their skills of specialists of the marine environment. 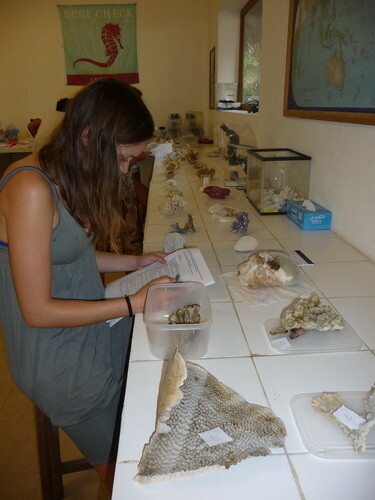 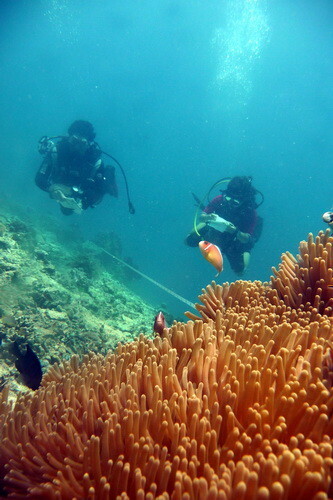 Very often degree courses end without a student could acquire a real knowledge directly on coral reefs although they possess sound basis to understand the functioning of these unique ecosystems. 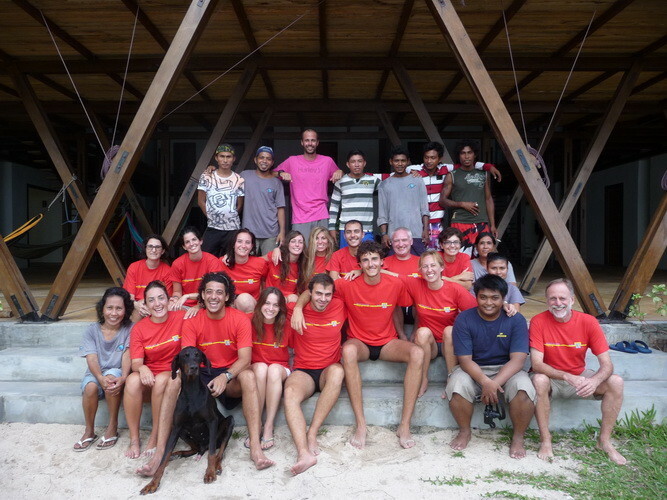 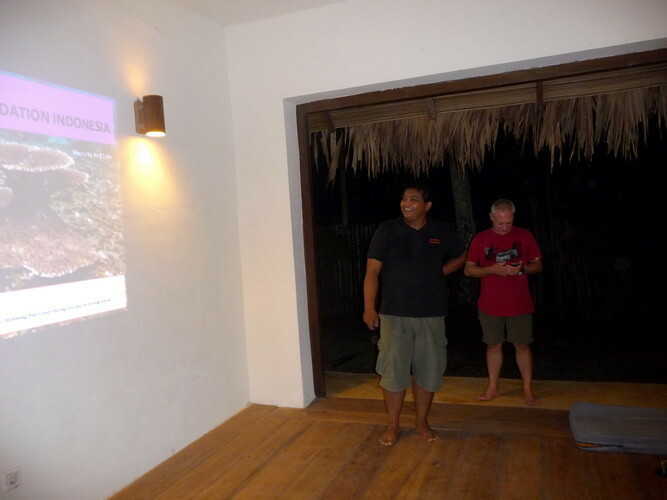 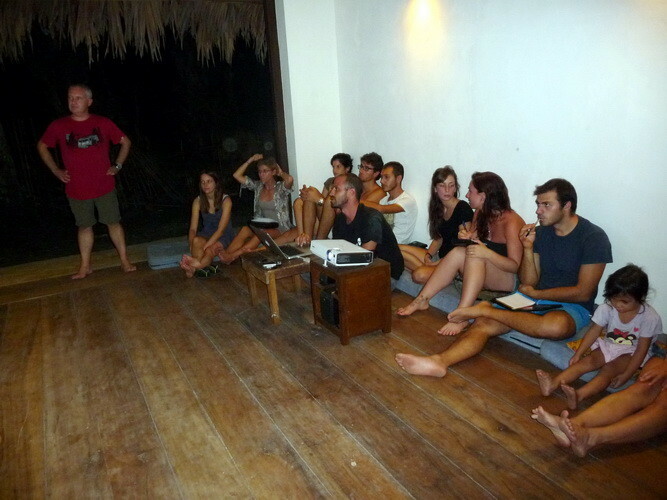 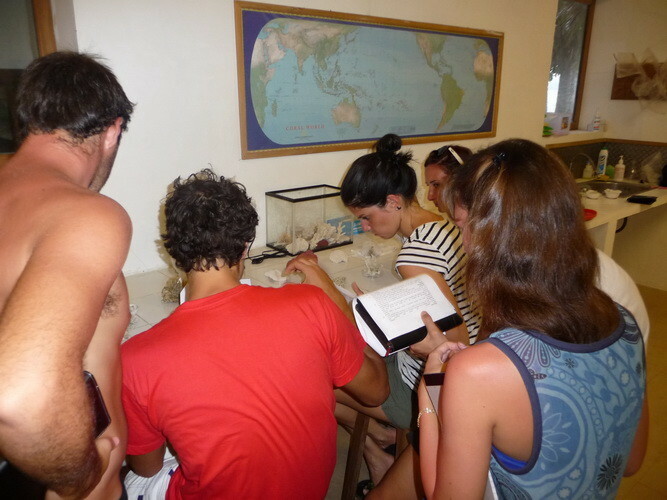 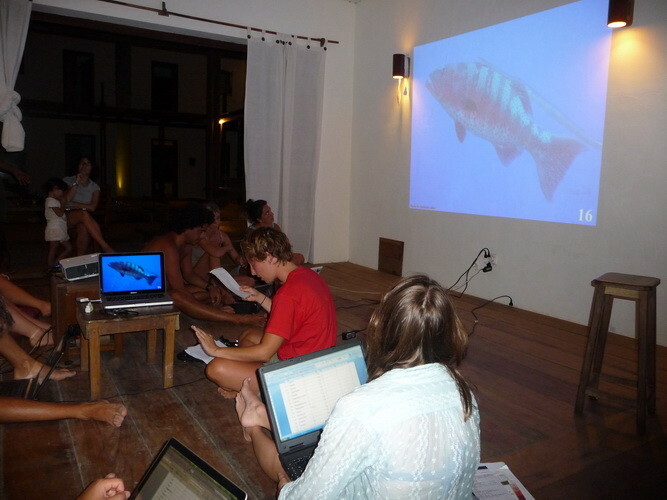 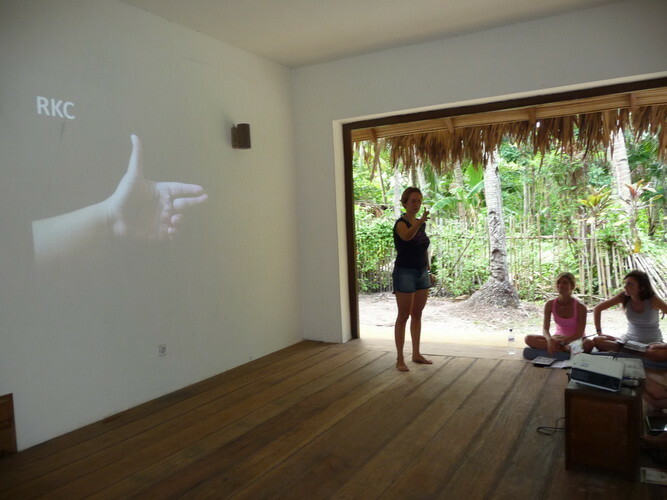 The expeditions organized by Reef Check Italia Onlus at the “Coral Eye Research Outpost in the island of Bangka (Indonesia) have confirmed the value of this experience in training young Italian marine biologists. 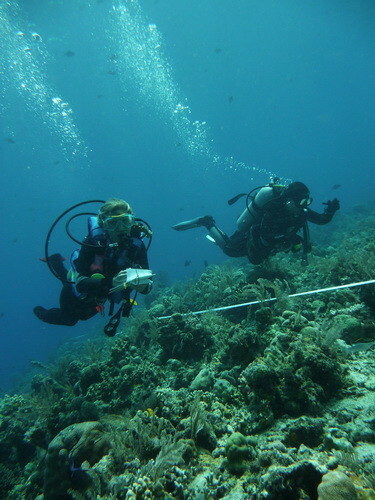 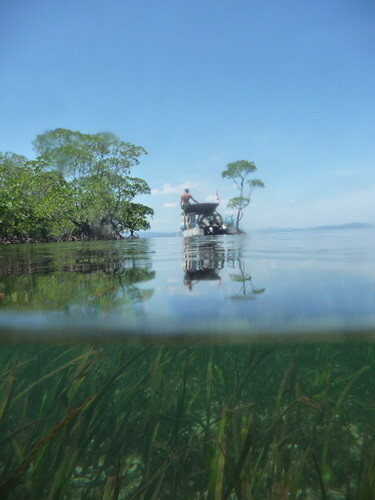 By using three different kind of transects participants have been able to learn useful basics to measure the percentage of seabed cover by different substrate types, like live and dead corals, sponges, ascidians or algae and to identify several kinds of fishes and invertebrates. 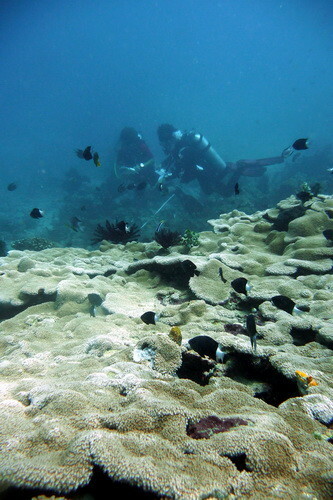 These are useful indicator species of impacts both of anthropogenic or natural origin. 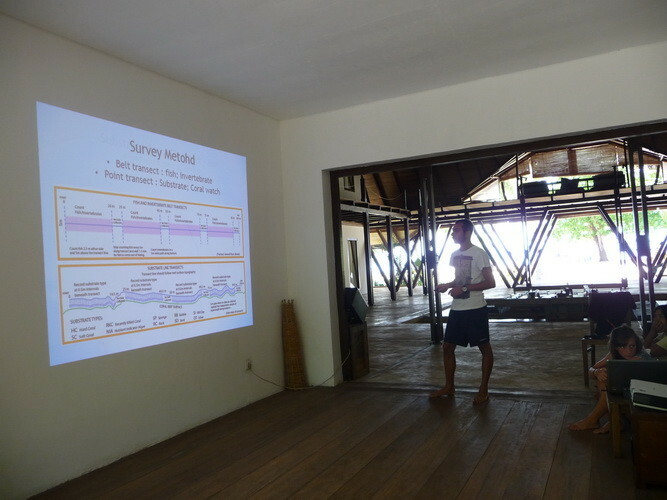 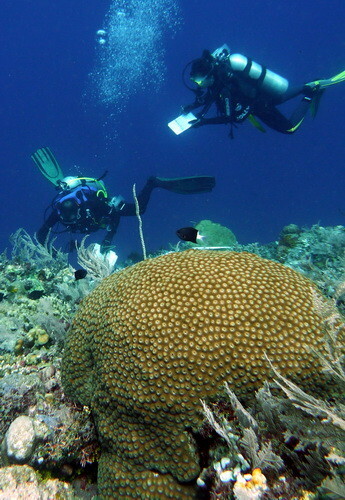 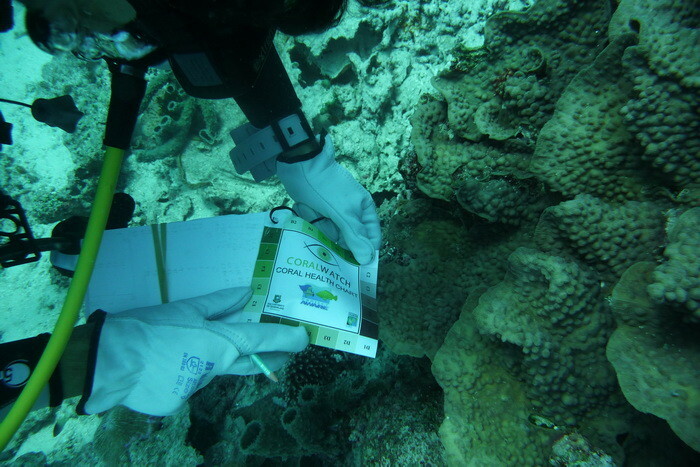 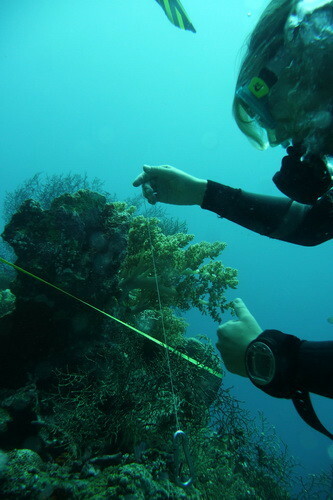 During the two expeditions were collected data that have provided for the first time a baseline of the health status of the coral reefs of Bangka’s area. 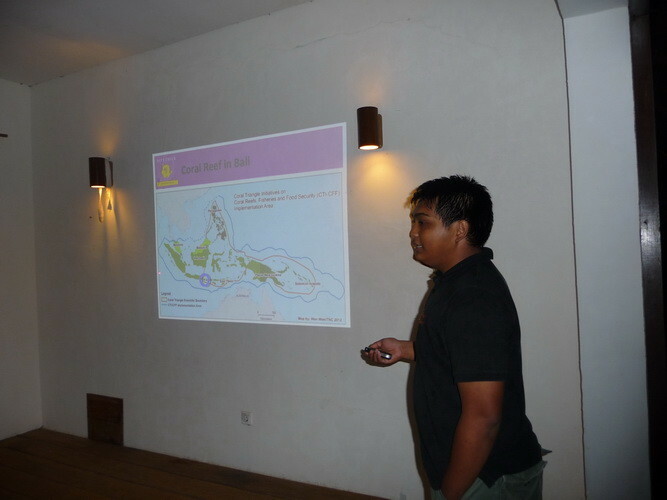 The involvement of Reef Check Indonesia, participating with the Program Manager Derta Prabuning, has also allowed inspiring the launch of a partnership in the future that could lead to the involvement of local population in education programs aimed at the formation of young Indonesians who will have awareness of the value of their reefs. 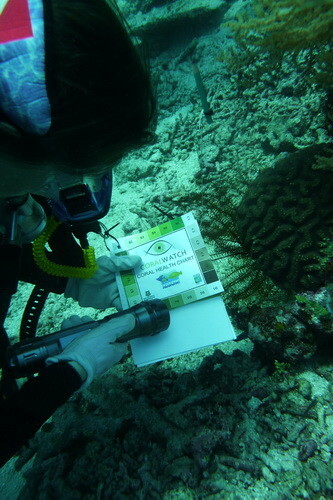 This could be done with the involvement of children of primary and secondary schools of the island, together with their teachers, using data collected and presenting them through programs easily understandable by local people.Thanks to the education of a more aware generation we will be able to intervene to prevent all those practices of destruction of reefs still widely used throughout the area.